Black and white build . Just want to say thank you pcpartpicker for the featured build . This sure surprised the hell out of me lol . It really means a lot , thanks again . I also want to thank all of you gals and guys for your nice comments and all the ideas that I got from this site by looking at your builds . This is my first black and white build ,but still could not to leave it without some colors lol . As all of my previous computers this one is gonna be used mostly for gaming and what ever else I need it for . It feels like what ever and how ever you build it in short time of period gets old lol . I know that the sli bridge is upside down in the pictures and I put it on the right way later on but I was lazy to retake them all , my apologies . Things not on the list ; Sleeved cables from Icemodz (the best cables I ever had) , and some from CableMod . Gaming chair from Noble chairs , got it from Newegg . Expensive but worth every penny . 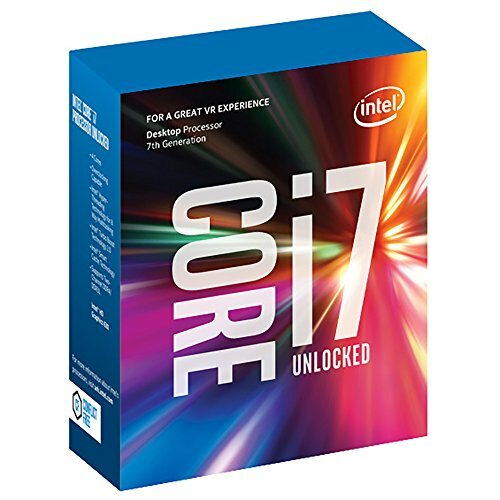 Great cpu , it can easily hits 5 Ghz , besides that its pretty much like 6700K but since is new model I went with it . . I never test it for speed but it must be better . Hassle free installation and less cables deserve easy 5 stars . I'm so glad I tried . I am pleasantly surprised with case . originally I was gonna get Enthoo Evolv but it doesn't support Asus ix apex mobo so I got this one instead . I cant say I like it more but I'm ok with this case . Lots of room for everything , great layout just like Evolv plus it supports EX-mobo . Tempered Glass and $99 price on top of that its a great deal for me . Not much to say about it it supplies power . Its an overkill but it is a left over from previous build so I had no reason to buy another . I had these before in read color but white is special because you can pair with any other color . They work good too . Beautiful , best looking fans right now (for me) . i need those cables in my life. and also why is your sli bridge rog logo upside down?? I installed it wrong by mistake , I saw it later but I didn't want to take all the pics again lol . Cables are from Icemodz , best I ever had . I guess , I got it while back . This is what I need rn... Thanks for blessing my eyes with this beast.. and yep i saw the comment, sli bridge fail lol, but overall very nice fancy build. 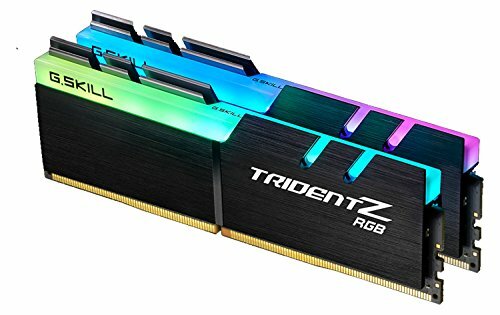 Please enligthen me, does your Trident Z RGB has a ''grey /gun metal'' heatspreader or it is just a light effect on picture #4? You are right , its a gun /metal heat spreader . Well , I think they're all the same black & white on one side and grey/white on the other . I got it from Newegg . VERY CLEAN!! Stellar list of hardware, cable management is on point! Question - what did you have to drill out? Cant really tell in the pic. Thanks bro . Holes for the radiator did not match so drilled new ones . please orientate the SLI bridge the right way it takes away from your amazing build. Anyway great build nice cable management!! I did lol . I saw it when I finished but I did not want to take all the pictures again . Thank you . DAAMMNNN this things looks sleek ! The chair is from Noble chairs and it's $529 on Newegg . It looks amazing and it is high quality product . It's real leather that's why cost so much . To be honest that's the only one I could have it shipped to Hawaii . I tried Dx racer chairs and nobody is shipping to Hawaii so had no choice . Conrats on your featured! Very neat! Thanks bro . This is not a featured build but I may have one someday lol . Or you post the comment by mistake hehe . I WAS HERE IN FRESH. YEAH!! Thank you , there is a spike imo also . People build more , and more they build better they get . Thanks bro . Yeah you can mount it anywhere . I took the hdd brackets out and just drilled the holes on the bottom , much better . Is your Samsung 960 evo plugged into a DIMM slot? Nice build my man!! Do you have a link to that adapter for the ssd? Thanks! Thanks , ssd adapter came with the motherboard . 10/10 build; i was looking at that same phanteks case myself and went with the fractal r5 instead. your build has definitely pushed me in the direction of getting sleeved cables for my psu though; normal cables are so stiff and hard to cable manage...what a pain. i did have a quick question for you; what desk is that in the picture you have all the components pictured? i've been looking for a new corner desk. These cables are really great because they have that plastic feel in it (Icemodz) , the lover gpu have CableMod and they are much softer , still good tho . This is the corner desk that I actually mean to add some wood tops that I work on to make it bigger . Its kind of not deep enough , only 18" https://www.amazon.com/gp/product/B01NAX23FB/ref=oh_aui_detailpage_o02_s00?ie=UTF8&psc=1 Cheap but base is very sturdy so you can put the granite on the top . Actually you should be happy that you didn't get the EVOLV case as those cards would be choking in there :) Awesome build! I just got that case too but will be doing costume water cooling on cpu and 2 gpus . Thanks for the compliment . Someone's getting prepared for 4K 144hz! Great build. Everything looks great and not overdone with RGB. Clean build. Amazing build! Very clean. I was just wondering how you keep the tis cool? I have sli ti and it literally burned my hand one day running over 100 degrees. Is it fixable without custom looping or is the computer going to be okay running that hot? Thank you . I have no problems with it at all . I did try to maximize air flow as much is in my knowledge to do so with the case I have . Push/pull config on intake and 3 on exhaust , doing fine so far . Will se in the future how it plays out . Pictures...and good ones! Thank you! Very clever fan placement solution for the extra long radiator. I'm assuming you drilled new holes to secure the bottom part of the radiator since you had a picture of the drill. I'm a believer in the MagLev fans but I love the NZXT fans in the front. RGB lights look balanced and the lighting options at your disposal are versatile. Your comment is even better than my build lol . Thanks bro . You are right about drilling , right on spot as you had the same problem lol . Thank you , i appreciate that . This case is my new favorite and your build just emphasizes the point. Well done! And DANG is that 1080ti SLI? Aw heck yeah it is. Thanks bro . The previous build I was like naaaah I don't need it so I got 2x1070 . But this time I just want it to go all the way . thats definitely all the way! And I love because of it lol . Thanks . DAAAAAAAMN!!! 1+! This looks amazing! congrats on the feature!!! Very nice build! very very very clean! I thought it was a toy chair when it was disassembled. Thanks bro I appreciate that . I absolutely love Asus . Personally for me they are little bit ahead of all others and I am talking about the look of their products . Nice build!!! +1 What led strips did you use for your ambient lighting? Thank you . Its a NZXT . Awww Yiss. This is one sleek, understated (and overpowered :D ) build. Great job putting it together! Thank you , I use Acer - Predator X34 34.0" 3440x1440 100Hz Monitor . Interesting mobo choice, but i'my glad to see people use my dream case, builds in the phanteks enthoo pro m tg edition always look great... you got my +1 for sure! Thanks bro , mobo is really interesting . The only thing I don't like about is that there is no io shroud . wish i could afford that. One day u will . Definitely a FAN of this build! Gorgeous build! I am in awe. What piece of software is that in photo #46? Thanks bro , that is NZXT CAM software . How loud is it when gaming or on full load? I game with headphones on but when I'm not and 100% load is not bad even tho the pc is right next to me . I DON'T UNDERSTAND! Why don't you have any GPU sag? I have a 1070 Strix ROG and the GPU sag bothers the Hell out of me. There is no sag for few reasons , Motherboard psi slots are reinforced , the case bracket on the back are different in every case (some are better than other) , Sli bridge help`s too . I don't know if you gonna believe me but sleeved cables help if they are made out of stiffed material . The cables on the top gpu (Icemodz) are really stiffed and they are holding just enough on that one corner . The bottom gpu cables(CableMod) are softer and there is a little sag but gpu is co close to the shroud and I'm gonna cut a piece of rubber and put it under . Oh. Makes a lot of sense. I love that case and the price seems so reasonable as well! A separate question...in your pic#3 the corner table(s) seems quite functional. May I ask where you bought it and how much you paid? Thanks bro , much appreciated . The desk is from Amazon and it is perfect for my taste . It does have one bad thing do , its only 18" deep and doesn't fit with my other desk . But , I'm gonna buy piece of plywood cut it , stain it ,pant it and it will fit the other desk perfect . The best thing about it is shape and the steal base . You can put a lot of weight on it . And also , its cheap and they shipped for free , works great for me . Thanks for the follow-up Bro! So you are going to add additional width, so that this desk lines up with your other desk? Beautifully done. Congrats on the featured spot. I think the NZXT Kraken X62 would have looked amazing in that build. I had it but it was too big , usb connector was sitting on the top of the RAM so I sold it and got this one instead . Cool! Did you have any issues with the HDD drive bay cover having to be removed to fit the 280mm? A ton of posts have been one way or the other about it. At first yes because the holes for the radiator did not match so I mowed it up and drilled the new ones and put the cover back . It will fit . This case support e-atx mobo and I think up to 420mm gpu . I have no problems wit the temperature at all but depends on your cooler and the fans you are using . I hope this helps . Btw if you are not on the budget get Phanteks Enthoo Evolv ATX Computer Case - Tempered Glass Edition , It is so much better looking case . I just got one for my girlfriend and it is wow . I know Its $80 more but its worth every penny and more . Thanks for the response Hector. I'm currently on a ~4200 budget. Seems a lot but with the 1950x, x399 mobo, and 2 monitors I'm already at ~2500$. What is so much better about the case that you recommend the 80$ premium? 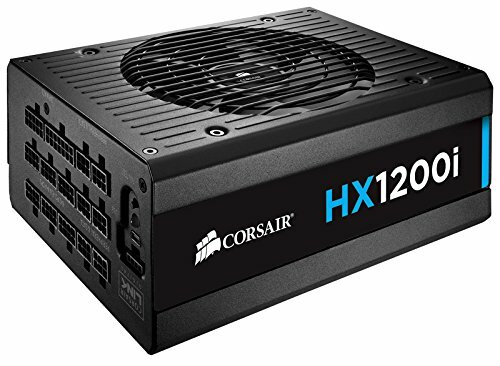 I have not seen either as I have a HAF X case atm and no local PC Store. Make your dream come true :) . Thanks bro . Nice rig! Thinking about buying that case. Same GPU size, Asus RX580 Strix 8Gb Looks nice! just a question, you can’t fit the odd cage in there with the 280mm radiator mounted at the front can you? it doesn’t look like it in your picture and phanteks website doesn’t say. I don't think so , because one of the screw holes is covered by the fans and radiator . ok thanks! it appears i can fit a 240mm radiator in the front but not a 280mm. You can but you have to redrill the holes , thats what i did . no i can’t fit a 280 with the odd cage at the same time. but what i don’t understand is why you can fit 2 140 fans in the front but not a 280. Like i said , mine is 280mm anf i just moved it up anf drillrd the new holes . The cover plate is still on top of the shriud . Nothing special really , that is on idle settings if you are talking about the CAM screenshot . Temperatures are pretty good on heavy load too tho , because radiator have push/pull configuration and be quiet 240mm is really good . I would also say it depends on how low is your room temperature . I set mine ac on 70 all the time and helps a lot . Thanks , you can do much better then this tho . sorry it was like 4am when i wrote that. what i meant to say was; i appreciate the time and thought you put into the build, it looks great, super clean and concise, and you did a great job. kudos. I know what you meant lol , and like i said thanks a lot . I took it as it is , a compliment . l know it's been a while since you built the computer, but i was wondering how you got your silent wings 240mm. 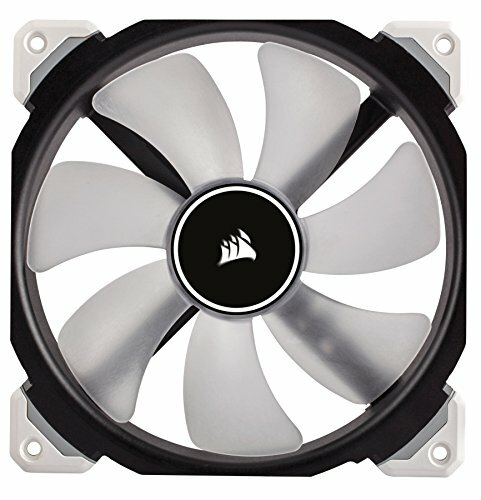 I'm currently trying to use that cooler to upgrade my pc, but i can't find anywhere that is stocked in the u.s. or ships to the u.s. under 40$. Could you help with that? I bought it on newegg.com and i think the seller was www.overclockers.co.uk . I've been looking for this cooler as well, and can't seem to locate one under 215-220 bucks. Did you ever find a place? This is a great build but I was wondering where you got the white covers for the GPUs ? Ey buddy! 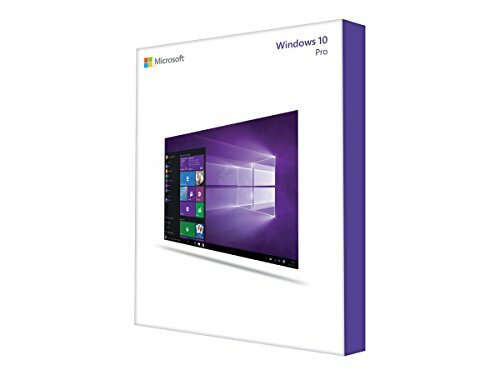 I want to build a computer this month, i am working hard to make happen. But i am a lite bit undecided. Any feedback? Anything yo would change? I want to edit promotional videos, 4k and a lot of color correction and motion graphics. This is a sext f*g build yo. I'm wondering how you put the be quiet! liquid cooler and the two corsair fans together like that? I'm confused as to where the fans of the be quiet system are lmao! Otherwise it looks amazing man! I put NZXT fans in the front as intake and screws through them to the cooler . Corsair fans in the back of the cooler as intake . Be quiet fans are spare . Thanks for the compliment . Does the motherboard come with wifi and Bluetooth? Also sick build! It doesn't , thanks for the compliment . I like it that way , it works just as same . Its personal choice . I was born lol , August 19th . Yeah , most people do year instead , I use month and day all in one lol .